Your family’s security comes first. This is why we continue to innovate and improve our fence quality and safety. We also manufacture and assemble our fences in-house in Port St. Lucie, Florida, with American components, so you can be sure you’re receiving the top-quality product expected from our brand. After working with the original inventor, we begin manufacturing removable mesh pool fencing with stronger, more-UV-resistant components. 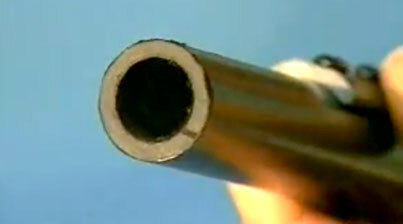 The first reinforced aluminum support posts are developed to increase overall fence strength. 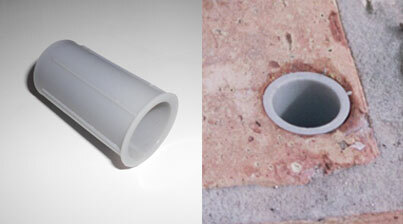 Our first big product improvement comes when heavy PVC inserts are added to the aluminum tubes, strengthening the posts. 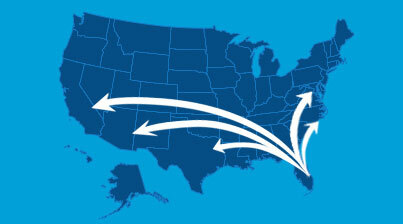 Families across North America are able to enjoy the safety and security of our fences as we expand to eight major markets. 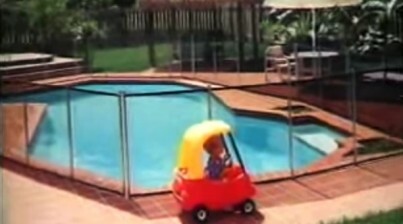 Protect-A-Child begins to evolve the removable mesh pool fence product. Parents now have more attractive, longer-lasting and safer mesh pool fencing as we introduce transparent black mesh and non-corrosive safety latches. The self-closing gate is designed. 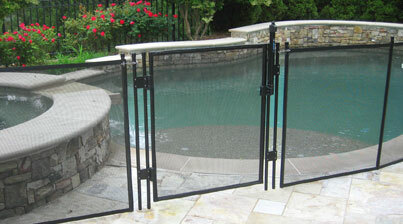 Protect-A-Child designs the first self-closing, self-latching gate for removable mesh pool fences. The first composite fiberglass fence post is offered to customers. Posts become ultra-strong thanks to our work with Shakespeare and Co.’s Industrial Composites Division to develop the first composite fiberglass support post for removable mesh pool fencing. The first painted fence posts are introduced. Fences become more attractive as our new fiberglass posts are made to match the black mesh, which has become the industry standard. 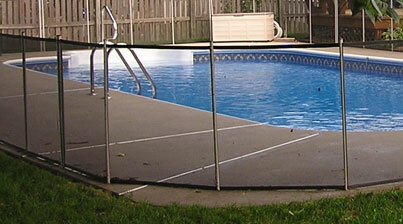 The first plastic sleeve for removable mesh pool fencing is used. Families are safer from electricity hazards and pass inspections with flying colors after we design the only all-composite, non-conductive mesh pool fence to meet the National Electric Code. 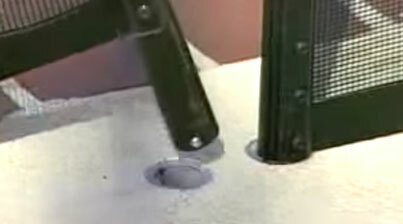 Quad-Bilt Composite Post design introduced. 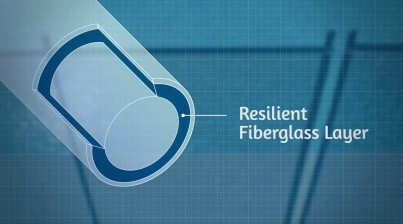 Pool fence owners enjoy posts with greater strength and resilience with a new composite molding technique perfected by Protect-A-Child and Shakespeare & Co.
Lock-in-Deck feature is invented and patented. The dangerous potential for a child to lift out the post of a mesh pool fence is virtually eliminated as we develop and patent the first twist-lock mechanism for locking the fence posts into the patio. 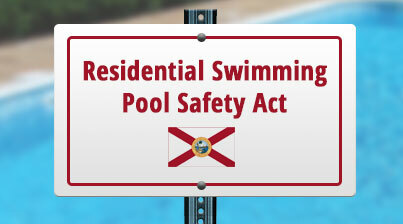 Residential Swimming Pool Safety Act is initiated. Florida asks Protect-A-Child to help develop official pool fence criteria. Our own rigorous standards continue to beat the minimum requirements put into law. Protect-A-Child introduces new solid-core, unbreakable composite fiberglass posts. Together with our composites manufacturer, we produce the industry’s first guaranteed unbreakable, unbendable mesh pool fence support post. We are proud to see that our documentary has led to more companies improving fence strength, while our products continue to lead the industry in durability and safety.